I’ve always loved popsicles, but never as much as I do now that I’m an adult. It’s way more fun to make your own pops at home because the sky’s the limit when it comes to flavors. And, because I’m a grown-up, that means I can make grown-up flavors! 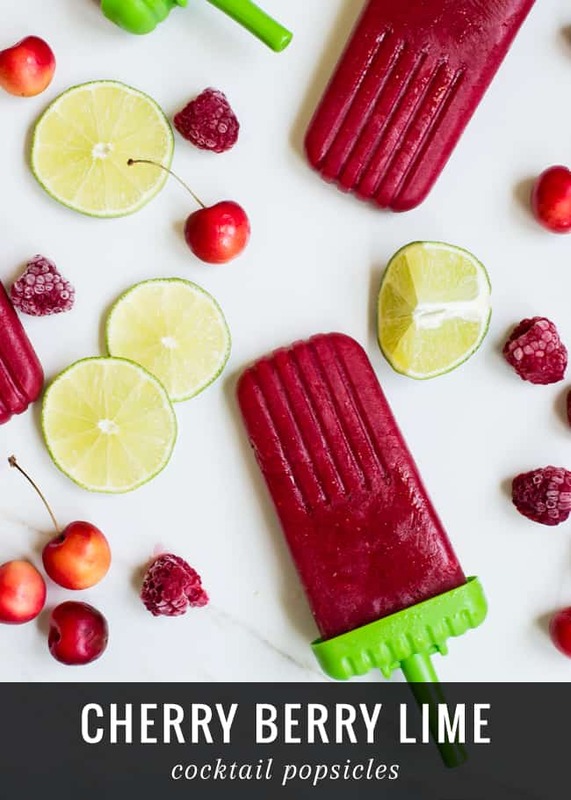 These Lime Rickey Cocktail Popsicles have two of my favorite summer fruits: cherries and raspberries.Lime Rickeys are a refreshing drink made with gin or bourbon, sparkling water and fresh lime juice. When we make them at home, we use lemon-lime soda (hold the booze) and add fruit juice or puree. They border on healthy because they are mostly fruit, with very little sugar. For a non-alcoholic version of this popsicle, just add more sparkling water. Don’t use too much alcohol or sugar. Too much of either of these will create a popsicle that doesn’t freeze as solid. 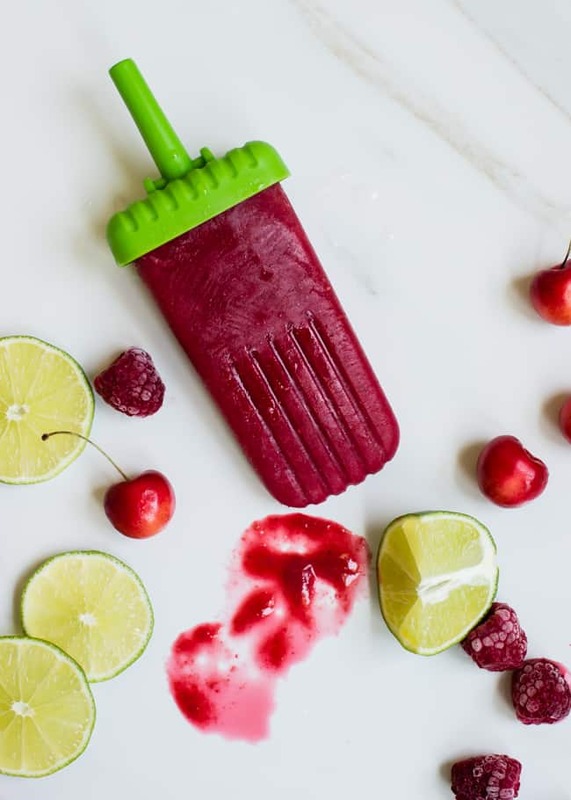 These grown-up popsicles have a smidge of booze and loads of fruity flavor perfect for an after-dinner treat. Puree cherries, raspberries, lime juice, sugar, and alcohol in a blender until smooth. Add the sparkling water and pulse a few times to combine. Let stand to let the fizz die down a little. love cherry and lime. they look yummy! 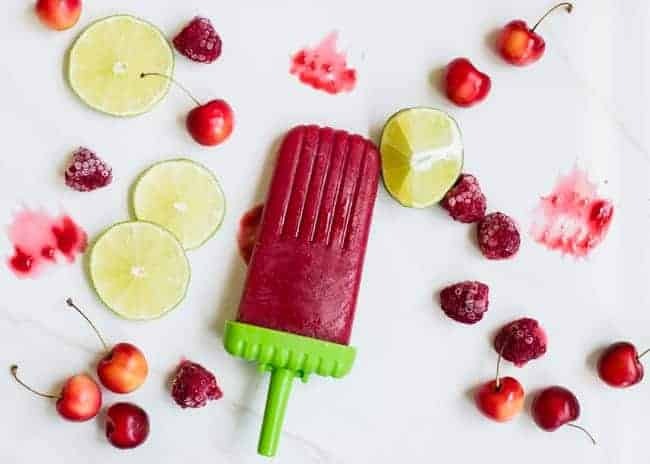 Looks so good and I love the idea of making popsicles at home. Much healthier and cost effective. I’ll need to pull out my popsicle molds for this one! this is just perfect for summer! love it.. craving a popsicle now! Thank you for your list of tips and tricks! Those are so incredibly helpful!